Dr. Amanda Schuck-Phan is a graduate of New York College of Osteopathic Medicine located in Old Westbury and completed her pediatric residency at Steven and Alexandra Cohen Children’s Medical Center of New York, where she served as chief resident. She completed her fellowship in pediatric gastroenterology, nutrition and hepatology at McGovern Medical School at UTHealth in Houston. Board certified in pediatrics and pediatric gastroenterology, Dr. Schuck-Phan has clinical interests in all areas of gastrointestinal diseases including inflammatory bowel disease, celiac disease and eosinophilic esophagitis. Dr. Schuck-Phan provides personalized care to her patients and develops individualized treatment plans that best suit them. She strives to develop open communication and long-term relationships with her patients and their families. Dr. Schuck-Phan treats patients from newborns to 18 years of age. She speaks Thai. 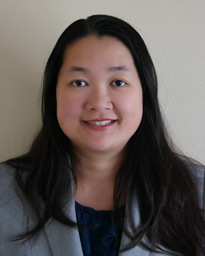 Residents of The Woodlands, Dr. Schuck-Phan and her husband have a son. Away from the clinic, she enjoys traveling, skiing and cooking.